We announced last May the renewal of the Sharp A3 monochrome range in the USA. Four of these new models are now available in Europe and two others could soon complete the current catalogue. are already available in Great Britain, Germany and Italy. France, Switzerland and Belgium will have to wait a little more. 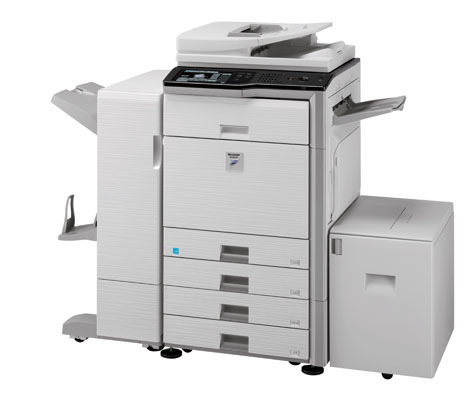 These 4 new MFP of 28, 36, 45 and 50 ppm have the same design than the latest color releases (MX-2600, MX-3100, MX-4100). The black interface, the embossed facade or the large touch color screen typical of the new Sharp ranges will not stay unnoticed. For those who will study these models more attentively, they will benefit among other features of a one pass duplex scanning at 70 opm and a USB port. DataMaster suspect the upcoming release of two new MFPs dedicated to small volumes... more to come!